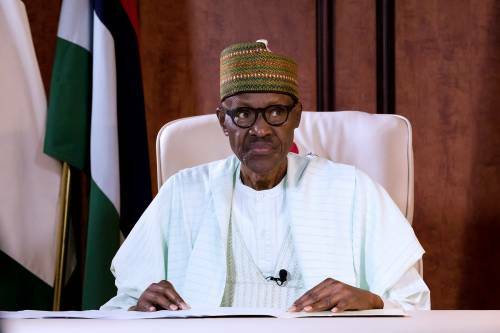 Nigerian president Muhammadu Buhari leaves Abuja on Tuesday April 8, for the United Kingdom to see his doctor, he said on Monday. Buhari said the four-day visit was at the behest of his doctor and that he will be due back in the country on Saturday, May 12. The leader of Africa’s most populous nation spent over 100 days of 2017 in London where he had gone for medical leave over an undisclosed ailment. The last known ailment Buhari publicly disclosed was an ear infection for which he sought treatment in London in 2016. Government spokespersons have insisted that the president’s medical condition was a personal issue. Buhari joined a growing list of African leaders who sought medical treatment overseas. In the same bracket was Zimbabwe’s Robert Mugabe (Singapore), ex-Angola leader Eduardo dos Santos (Spain), President of Benin Patrice Talon and Algeria’s Abdul Aziz Bouteflika (France). Buhari returned to Abuja from his native Daura in Katsina State on Monday after partaking in local level elections of the ruling All Progressives Congress (APC). The last time he was in London was for a stopover whiles returning from an official visit to the White House. He has announced his intention to run for a second and final term in office. Elections are due in 2019 and the former military ruler is sure to get the APC’s ticket. The main opposition Peoples Democratic Party (PDP) has yet to pick a candidate even though a dozen individuals have announced their candidature.